I’m fortunate I don’t have too much of a problem with the larger pests–racoons and deer–that many people in my area must contend with. However, something around here has been thirsty and has discovered my rainwater barrels. I’m guessing it is racoons. 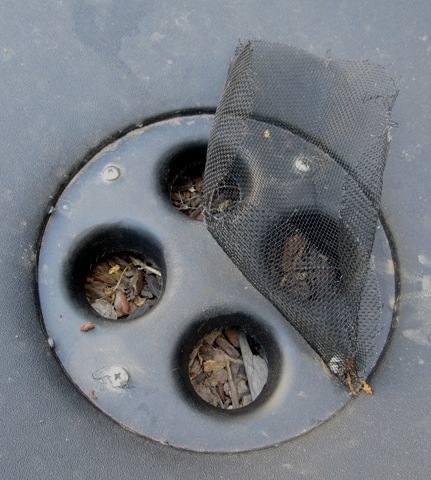 They’ve been ripping off the mosquito screens from the top of my rainwater barrels and I’ve been searching for a solution. I did buy a handful of stainless steel screws to put more screws around the edge of the screens, but I wasn’t optimistic about this approach. 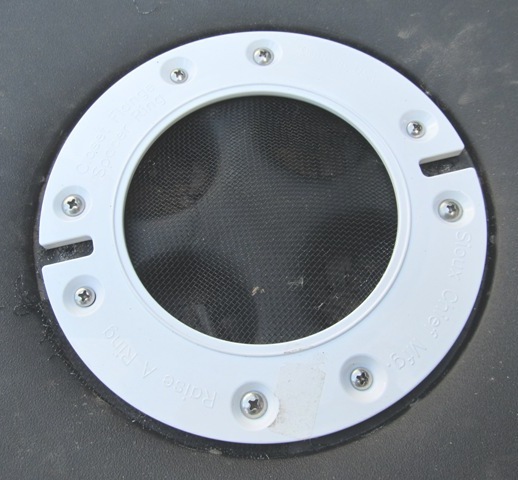 If it is racoons, they wouldn’t be put off by a few more screws. A few weeks ago, someone was touring my garden and suggested I put a ring of some sort around the edge to hold it down. Liking the idea, I headed off to a local warehouse home store with my tape measure and a mental image of a 7 inch ring. As luck would have it, in five minutes I had found what I needed and it is perfect for the job: rings used in some way to install toilets. The size was perfect, as well as the number and location of screw holes. 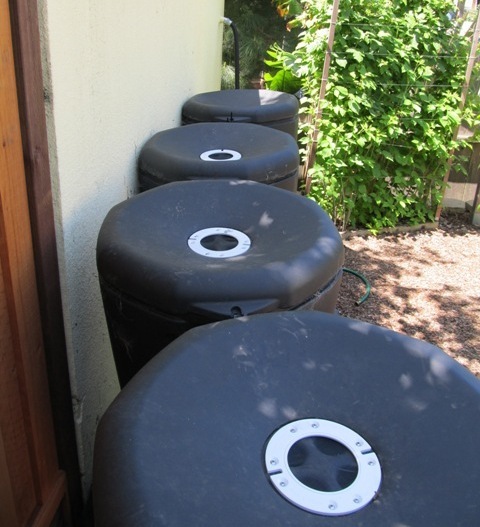 Now installed, my rainwater should be protected from night-time critters and from breeding mosquitoes. Problem solved!